A lost opportunity has a chance to be regained as Jupiter expands the power of this Scorpio Full MOON. A time for revaluation of our attitudes and inner cultural values is called into question. Too often, we accept without thought or introspection the status quo of the era and society we live in. What is being challenged is our personal sustaining faith in the attitudes of popular culture. Are We To Adopt The Current Values Of Our Culture Without Question? This Full MOON gives us the psychic insight to revisit our dynamic relationship with popular values and ask the question: "Does the current popular culture sustain my Soul Center?" The "lost opportunity" that is being presented is an opportunity of rejection. We have a second chance to further refine our cultural values. The SUN is releasing with great power and purpose a more peaceful interaction with others through the recognition of all the positive contributions represented by different cultures from around the world. Scorpio's Full MOON is shining its objectivity on the glorification of our aggressive cultural values. Individual revision of these aggressive values are necessary, or by default we accept as our own the values of the current status quo without ever asking how our faith in humanity is aligned. This is a second chance to re-align our values to a greater level of peaceful adaptation verses the current levels of cultural aggressiveness that is prevalent in our society today. Venus plays a key role in this Full MOON period of activation. Since Feb 9th, Venus has made conjunctions with Pluto, Neptune, Uranus, and Jupiter. The celestial order of these four planets holds significance in respect to their decreasing orbits. Each planets, in perfect cosmic order, have impregnated or fecundated Venus with a greater purpose and greater reality. Venus is drawing forth, like a honey bee pulls forth the quintessence of the flower. From the outer planets, Venus has drawn forth the cosmic power that can transform all levels of existence. This great cosmic visitation carries forth its tremendous transforming power within every natural self-expression within the Soul-field. This awe inspiring experience of the power behind the Soul can either shatter or illuminate our consciousness. In either case, this cosmic visit is fecundating the very substance of our being. The SUN is trying to harmonize a peaceful adaptation and expansion through this Full MOON activation, but continued effort and natural steps must be honored for success at all levels to continue. This cosmic visit will begin to allow for the gradual expansion of individual consciousness after this amazing fecundating experience and visitation. This Full MOON has a planetary effect that is quite remarkable and is based on the special alignments made with Uranus, Neptune, and Pluto. The polarization of energies is a dynamic principle that is always in play. From an Esoteric point of view, energies may become stuck in one of the two polarities or they may neutralize each other and also get stuck. What is called for is the dynamic flow of polarities within an open circuit. Open circuits can easily interact with other open circuits in a sacred way. This is called the Esoteric Sacred Heart or in modern reference, having an open heart center. A healthy community is often based on accessible commerce and abundance. The health of our planet rest on each individuals ability to take one's own spiritual harvest to society to bargain, trade, and heal. In other word's, planetary healing starts with each one of us. We must all look beyond the limiting idea of "reaping what we sow." We must expand this idea to see that the spiritual harvest we reap must be gathered and taken to a larger stage as we plan on exactly how we are able to help the world with our own contributing harvest. How can your harvest heal and benefit the world and our beloved planet? Personal and global transformation has the potential of ease, enjoyment, and fulfillment within the limitations of one's own karma. This is a time for abundance and sharing what has been extracted during our hard work. Like miners working deep under ground bringing to the surface that which will both help to expand life and provide substance for continual growth. Transformational energies are being released from deep within the collective consciousness and the Earth herself. The Full MOON in Peru is activating a release of ancient energies. Three amazing women are on a planetary healing trek in Peru visiting four ancient sacred sites. They will be activating and releasing cosmic energies on the May Full MOON at Choquequirao. There are many ceremonies, meditations, and events planned around the world on this special day. Visit Elizabeth Schermer's Fundamental Feng Websitefor additional information on your own Full MOON Participation. The release of energies at these sacred sites is cosmic in origin, but flowing through the ancient Peruvian culture as it embraces its highest collective values of peaceful adaptation and adjustments to nature. Integration in its ultimate form must release ALL of its energy to allow for a more inclusive cycle to be reborn. A prime example of a second chance. Deep within the Peruvian ground is an inner glow and a promise of what is possible based on the ancient archetypal form that has remained hidden, but active. These need to be fully released to complete its cycle of transformation. The land is holding amazing structural power and knowledgeable energies that the world needs in restructuring our current cultural values with a peaceful attitude that honors nature's role in harmonious living. A release of this magnitude has the potential of imprinting the planet with a new social unity that can be effective without alienating other cultures in the process. This imprinting contains a new capacity for a undaunted faith in the ideals and patterns of a peaceful, harmonious quality of living that has always been a foundation of successful ancient cultures. It is this knowledge that represents the rich and ancient cultural values being reactivated. These cultures values embrace the necessary adjustments needed to set aside cultural pride and an attitude of arrogance which aggressively tries to conquer and expand rather than adapt through peacefully interactions and cooperation. This is a healing activation with the promise of circulating abundance, and noble intentions for both individuals and the entire planet. After this activation there will be additional efforts and natural steps that must be honored for success to continue at the deepest levels. Healing power is being activated at these sacred sites and incorporates the treasured use of authentic emotion and the honoring of womanhood as the beauty and fragrance of life itself. The Cosmic visitation of Venusian energies are ready to fecundate our beloved planet and our consciousness for abundance and healing. Are you ready? Written by Steven Shroyer, a world class Esoteric Astrologer. 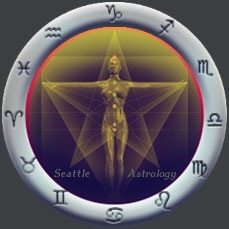 It you are interested in a life changing astrological reading, please contact him at Seattle Astrology.